***SMALL BUSINESS OWNERS*** You work your tail off to generate leads for your business…is your website doing its fair share? More importantly, when you DO get leads through the internet, are you able to get them to answer the phone? To schedule appointments? 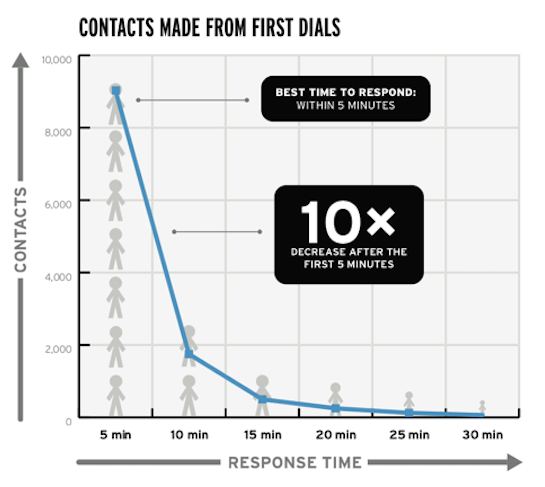 How quickly are you responding to your web leads? 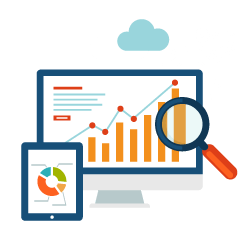 What are your current Lead Conversion rates? These are all crucial metrics that I’d be willing to bet you’re not tracking. Think about the amount of time that passes between the time someone clicks on your web form for a “free trial” or a “free gift” and the time you actually pick up the phone to call them. How many people answer their phone? Now imagine if you could 10X that response rate!! And 2100X the conversion rate! Think about this…if you could call your prospect back IMMEDIATELY – and I mean within 30 seconds of them clicking the button – what do you think their response would be?? They would be shocked and impressed!! Ten out of ten would comment how fast you responded! What if you were a fitness center…is asking for a trial membership to your gym an emotional – and impulsive – proposition? Is getting a free trial of something online impulsive? Of course it is!! So you need to get back to them NOW. Like, ACTUALLY now. Not in 10 minutes. They’re impulse is now…your response needs to be now! I think you know exactly what this will do to your lead conversion rates! There is a product that I’m working with called Game Changer that automates the response process and makes it possible to be on the phone with that prospect within 30 seconds of them clicking “send” and thereby making you 100 times more likely to schedule an appointment and make a sale. Here’s what happens…they apply for a “free trial” or a “free estimate” on your website. Upon clicking the button, a phone call is immediately placed to YOUR PHONE of choice (cell phone in best). You are then asked to “Press 1 to be connected” to your internet lead. A call is then placed to the prospect and within 30 seconds of them clicking the button, they are on the phone with you! Don’t think for a second they won’t be shocked and impressed! Waiting even 5 minutes decreases your chances of them answering 10-fold. So try this out…I’m telling you, you’ll love it! I’ll let you try it for free for a week or two. Then let me know if you think the added business you’ll generate will be worth the money it costs to get Game Changer! Call or text us for more information!